A warm sty to lie in and cool mud for a wallow are not enough to satisfy two bored pigs named Bertha and Briggs. Their minds are bent on money and riches. So when they find a treasure chest, they head straight for town. They buy dresses and suits, an expensive new car, and a house filled with gadgets. Now they'll live the good life. But the gadgets cause a lot of trouble. The car breaks down; the washer overflows; the TV goes on the blink. Bertha and Briggs are working so hard, they have no time to play! Soon their new clothes are thrown to the wind, and two happy pigs head back to the country for a carefree roll in the mud. 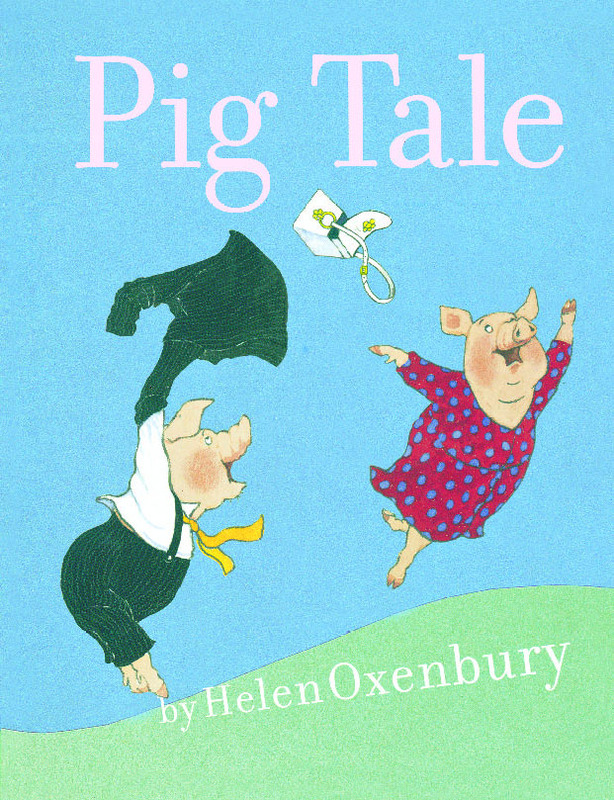 Helen Oxenbury gleefully illustrates Bertha and Briggs bumbling their way through a life of luxury. And kids will agree that romping and playing beat mowing the lawn any day! Helen Oxenbury is the renowned illustrator of many classic picture books, including We’re Going on a Bear Hunt by Michael Rosen and The Three Little Wolves and the Big Bad Pig by Eugene Trivizas. Ms. Oxenbury lives with her husband, illustrator John Burningham, in North London.